Your local seafood restaurant in Huntsville, AL specializing in market-fresh seafood & fish cooked over a wood-burning grill. Join us today & try one of our great apps, martinis or cocktails! Whether you're celebrating a special occasion, doing business, or simply gathering with friends and family, our group and private dining option is for you. From our dynamic unique atmosphere to our unforgettable fresh food and drinks, you'll be glad you got the gang together. 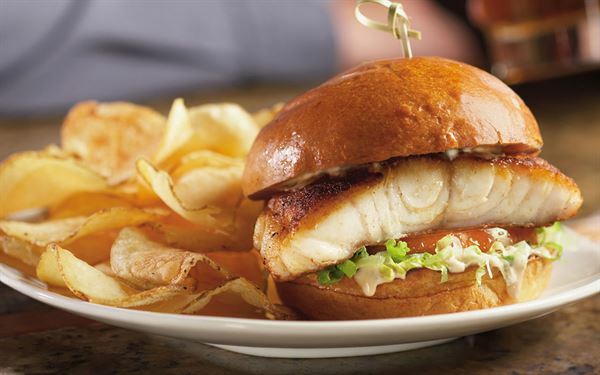 No matter how big or small your group, Bonefish Grill is the ideal location for your next event. We offer award-winning service and atmosphere for casual social gatherings to business meetings alike. Whatever your occasion, we are the best destination to turn your event into a celebration. Our managers delight in the details, from selecting innovative seasonal menus to arranging the perfect table to set the tone for your guests. MENU PRICING SUBJECT TO CHANGE AND NOT INCLUSIVE OF ALCOHOL, TAX AND GRATUITY. THESE ITEMS ARE COOKED TO ORDER. CONSUMING RAW OR UNDERCOOKED MEATS, POULTRY, SEAFOOD, SHELLFISH, OR EGGS WHICH MAY CONTAIN HARMFUL BACTERIA MAY INCREASE YOUR RISK OF FOODBORNE ILLNESS OR DEATH, ESPECIALLY IF YOU HAVE CERTAIN MEDICAL CONDITIONS. MENU PRICING SUBJECT TO CHANGE AND NOT INCLUSIVE OF ALCOHOL, TAX AND GRATUITY *THESE ITEMS ARE COOKED TO ORDER. CONSUMING RAW OR UNDERCOOKED MEATS, POULTRY, SEAFOOD, SHELLFISH, OR EGGS WHICH MAY CONTAIN HARMFUL BACTERIA MAY INCREASE YOUR RISK OF FOODBORNE ILLNESS OR DEATH, ESPECIALLY IF YOU HAVE CERTAIN MEDICAL CONDITIONS.